Those are just a few of the collectible items found on the March coin show's bourse. Mark your calendars for the next show on Sunday, April 8, 2018, in the Joe Mack Wilson ballroom. The dealers will fill their showcases and the tables on the bourse with coins, currency, bullion and related collectibles. The March 2018 monthly Greater Atlanta Coin Show had a rainy morning outside but inside visitors found a bourse filled with dealers and their showcases displaying a variety of numismatic and other collectibles. Many visitors decided the rainy, upper 50s to low 60s weather was perfect to visit a coin show. Our dealers arrived early to set up their displays, do some business among themselves and get ready for the morning visitors. We appreciate all of the visitors, all of the dealers, our security and the hotel's staff for making the Greater Atlanta Coin Show an interesting and fun place to be one Sunday each month. This month, numerous cars filled the hotel's parking lot in the early morning, but we're not sure if it was overnight guests or events. The hotel has two event floors, and we were kept busy and do not know who might have shared the space with us. As for the dealers, this month's show was just a week after the Tennessee State Numismatic Society's March show at the Camp Jordan Arena in Chattanooga. The TSNS has shows in March and November that many of our dealers attend. Frequently, the dealers show off any new acquisitions of coins, currency and other numismatic collectibles at the monthly show. Let's take a look at just a few of the coins and collectibles on the March bourse. 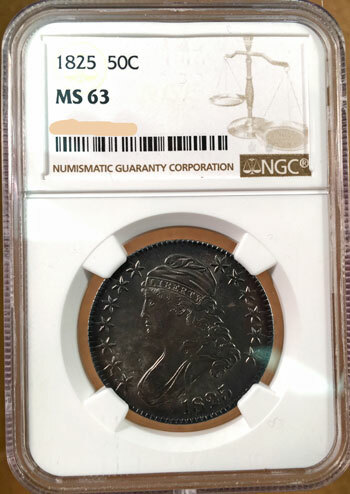 Our first example is a Capped Bust Half Dollar minted in 1825 and graded as MS-63 by Numismatic Guaranty Corporation (NGC). "This was yet another year of large half dollar mintages, requiring 15 obverse dies and 16 reverses. These were used in a total of 18 combinations, of which Overton-118 is extremely rare. The only use of Obverse 15, this die cracked severely, and that most likely accounts for its early retirement. O-109 is very scarce, but all the others range from common to just slightly scarce. "Mint State survivors are plentiful in relation to most earlier dates, and a fair number of gems have been certified. "Slight changes in the bust of Liberty reflect a new obverse master punch, and this appears to have been among the first efforts of William Kneass. Appointed Chief Engraver the year before, succeeding the late Robert Scot, Kneass would go on to modify most denominations over the next several years." The most common grade is the AU-58. This particular coin is one of 77 that NGC has graded MS-63. Though this specimen almost looks like a dark brown copper coin, this coin is actually silver. The US Mint at Philadelphia struck 2,943,166 of these silver half dollar coins. Even with the tarnish, the coin provides a beautiful example of Lady Liberty in her Phrygian cap. Our next example is another NGC graded (MS-61) Capped Bust Half Dollar coin minted a few years later in 1833. "The 1833 half dollar is a rather boring entry in this otherwise popular coin series. There are no standout varieties meriting a separate line item in catalogs. Mint State examples are plentiful, though gems are fairly scarce. "Numismatists have identified 15 die marriages resulting from the use of 13 obverses paired with 14 reverses. Most of these dies were used too long, resulting in coins having worn, distorted features at their peripheries. 1833 was the year that coins were last struck within the old mint facility of 1792. The workers seem to have been distracted by this move and not inclined to replace worn dies in a timely manner. All 1833 half dollar varieties are fairly common, with the exception of O-115, of which just about three dozen examples are known." In their overall summary, NGC has graded 1828 of the 1833 Capped Bust Half Dollar coins with the lowest grade as PrAg (4) and the highest as MS-68 (1). The most common grade is again the AU-58 at 346 coins. This particular coin is one of the 64 they graded as MS-61. "Mint luster may be diminished or noticeably impaired, and the surface may have clusters of large and small contact marks throughout. Hairlines could be very noticeable. Scuff marks may show as unattractive patches on large areas or major features. Small rim nicks and striking or planchet defects may show, and the quality may be noticeably poor. Eye appeal is somewhat unattractive." Regardless, this is a nice example of an 185-year-old coin. Another half dollar, the next coin is a Seated Liberty Half Dollar Coin struck in Philadelphia in 1876. On this coin, the seated Liberty holds a shield leaning against her leg with her right hand while her left hand holds a staff with a Phrygian cap on top. 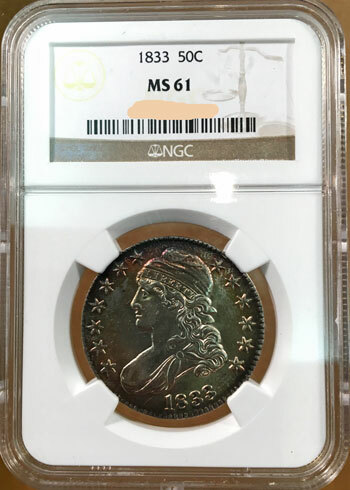 Professional Coin Grading Service (PCGS) graded this coin as one of 76 they have determined to be the MS-63 grade. Overall, they believe 3500 of the coins have survived out of the original mintage in Philadelphia of 8,418,000 silver half dollars in 1876. Of those remaining coins, PCGS estimates 425 exist in MS-60 and higher grades. "The 'common' dates in the series are generally the Philadelphia and San Francisco issues of 1875-1877, and collectors should find them relatively easy to obtain in any grade from Good through MS-65 provided they’re willing to pay the price. Superb MS-66 and MS-67 examples, while around, are both costly and scarce. Proofs exist in proportion to their original mintages. "Part way through 1873 the authorized weight of the half dollar was increased slightly from 192 grains to 192.9 grains, the latter equaling precisely 12.5 grams. To signify this change, arrowheads were again placed to the left and right of the date, as had been done twenty years earlier when it signified a weight decrease. "After 1874, even though the new weight standard remained the same, the arrows were no longer used. Otherwise, the Liberty Seated with IN GOD WE TRUST motto type is the same as that used from 1866 through 1891 inclusive. " This particular coin may be a "common" variety, but it provides a nice example of the Seated Liberty design and is one of just a few remaining in that grade. The Morgan Dollar Coin is a favorite collectible among many. Some collect it for its design while others want it for its value, both numismatic and silver content. The US Mint in Carson City struck this coin in 1883, one of 1,204,000 dollar coins produced at their Nevada facility that year. 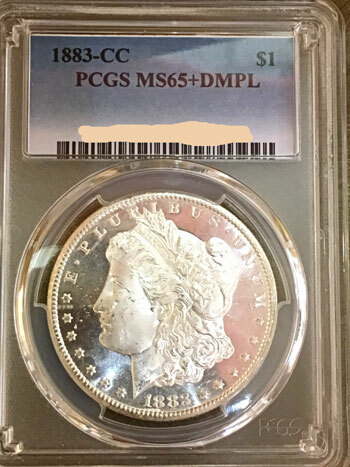 PCGS graded this coin as MS-65+DMPL. The 65+, of course, means the coin is better than an MS-65 but not quite into the MS-66. "DMPL" describes the coin as deep-mirror proof-like, which the ANA Grading Standards defines as "An uncirculated coin with the fields struck from highly polished or mirrored dies, and closely resembling a Proof." In their CoinFacts statistics, PCGS estimates 9500 of the 1883-CC Morgan dollars have survived through the years. Of those, 2300 are MS-65 or better. 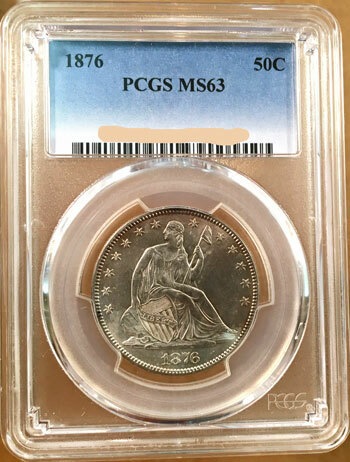 Among the 1883-CC dollars reviewed, PCGS certified 47 of them as MS-65+ but do not specify how many were DMPL. "The 1883-CC $1 is one of the most common dates issued by the Carson City Mint. Large quantities of full bags of $1,000 face value appeared in the 1960s in U.S. Treasury vaults, accounting for most of the known population. These were distributed in the late 1970s and early 1980s by the General Services Administration, which sold individual coins to dealers and collectors. Today, they are extremely common and can be found with ease in all Mint State grades up to MS67+. The most frequently-seen grade is MS64, where PCGS alone has certified over 15,000 examples (as of July 2015). In general, coins of this date show strong strikes and deep, frosty luster. "Proof-like and Deep Mirror Proof-likes are scarce and represent about one-seventh of the total population. Both appear to be of similar rarity. Gems are readily available in these formats, too, but they are usually more expensive because of their distinctive appearance." Whether looking at the beauty or the value, this Morgan Dollar Coin is a nice example of George Morgan's design. Do you know what tobacciana is? Oddly, the word is not in the online Merriam-Webster or the dictionary.com database of words. "As the name implies, tobacciana refers to collectibles or antiques related to all types of tobacco products including both cigars and cigarettes. This type of memorabilia takes us back in time to when cigarettes were actually viewed as healthy. Even before that, any well-to-do man was expected to adjourn to the drawing room for a cigar with his scotch or cognac after dinner. "During the cigar revival of the late 1980s and early 1990s, the popularity of related collectibles increased dramatically. "While the demand for this type of tobacciana is still strong, only the rarest and most unusual items sell for the highest prices these days." 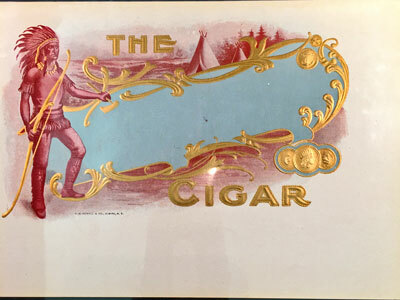 "Brand names from the late 1800s to the early 1900s include Omar, Tip Top, Walt Whitman, Young Giants, and 6 for 25¢, which was also the price of these oddly named cigars. Usually, the subject matter of the label related to the brand name. For example, Zep cigar labels featured a zeppelin hovering above a globe showing the airship's route from Germany to New York, while cigars named after popes and presidents generally featured portraits of these religious and political leaders. "While most cigar-box labels lack dates, you can tell how a label was printed, which can be used to date it. If you hold a magnifying glass up to a label and notice that the color is really created by countless tiny dots, then you are certainly looking at a 20th-century label, but if the image appears to be made by an artist’s hand, it is probably 19th century. 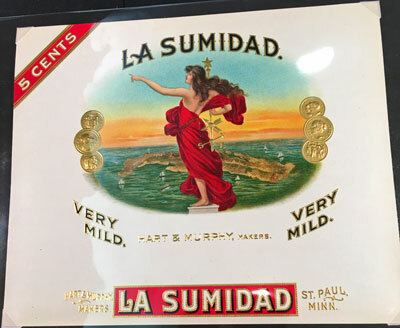 As for those labels that were deemed better than the cigars they advertised, fancy papers and embossing were not used prior to 1880." 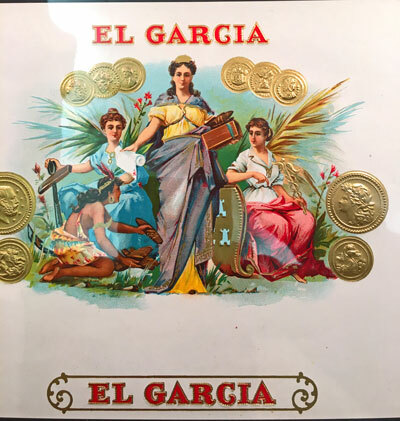 As you can see from these few images, the Cigar Box Labels are colorful and artistic. And, these four are just a small sample of the labels on the bourse. Through the years, an amazing variety of the labels were used and many are still available as collectibles in pristine condition. There's even a website for a Cigar Label Price Guide (cigarlabelpriceguide.com) that gives an idea of the variety produced by the tobacco companies. 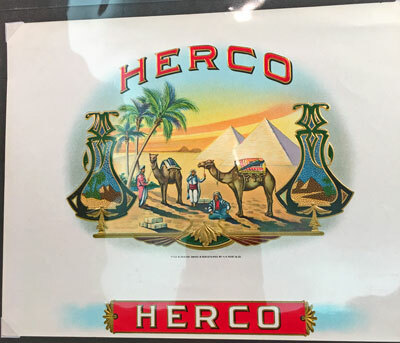 Instead of using tobacco products, today we can enjoy the colorful art found on the cigar boxes, both old and not-quite-so-old. 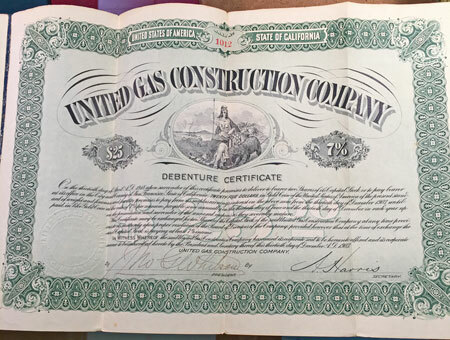 The next collectible is a debenture certificate from the United Gas Construction Company. Perhaps this company changed its name through the years as it is difficult to find searching the internet. One search result details the company as: "United Gas Construction Company is an entity registered at New York county with company number 8977. John G. Whitson located at the address 88-90 Centre St. New York, New York, with a jurisdiction of California and filing date of June 26, 1902." "New Company Incorporated.-Articles of incorporation of the United Gas Construction Company were filed yesterday. The capital stock is $1,000,000. and the directors are J. G. Whitson, P. L. Benjamin, L. M. Thompson, A. Harris and Frank Hohenschied." Looking at the bottom of this document, both Mr. Whitson and Mr. Harris affixed their signatures. "On the thirtieth day of April A.D. 1918 upon surrender of this certificate promises to deliver to bearer two shares of its Capital Stock or to pay bearer at its office in the City and County of San Francisco, State of California, Twenty-Five Dollars in Gold Coin of the United States of America of the present standard of weight and fineness and further promises to pay from its surplus earnings interest on the above sum from the thirtieth day of December 1903 until paid in like Gold Coin at the rate of 7% per annum payable semi-annually on the thirtieth day of June and the thirtieth day of December in each year upon the presentation and surrender of the annexed coupons as they severally mature. "This Certificate may be exchanged for two Shares of the Capital Stock of the said United Gas Construction Company at any time previous to its maturity upon proper resolution of the Board of Directors of the Company, provided however that at the time of exchange the said Capital Stock is paying at least 7% income. "In Witness Whereof the said United Gas Construction Company has caused its corporate seal to be hereunto affixed and its corporate name to be subscribed hereto by the President and Secretary thereof this thirtieth day of December A. D. 1903. Today's stocks and bonds must have language much like these old documents, however seeing those words on a computer screen just doesn't have the same impact as a beautifully rendered old certificate.